These are the entries which were included by Henry Fishwick in The History of Garstang [FN1]. Further register entries may be found in an earlier post. B. 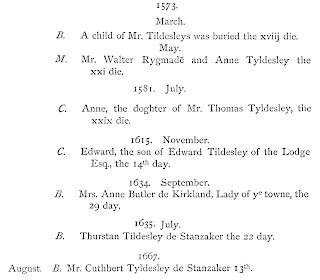 A child of Mr. Tildesleys was buried the xviij die. M. Mr. Walter Rygmade and Anne Tyldesley the xxi die. 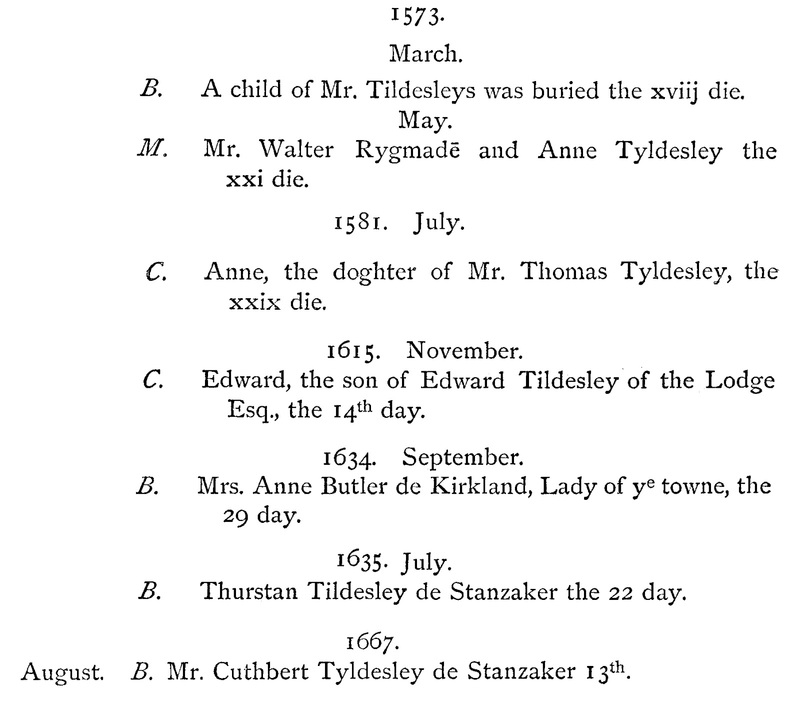 C. Anne, the doghter of Mr. Thomas Tyldesley, the xxix die. C. Edward, the son of Edward Tildesley of the Lodge Esq., the 14th day. B. Mrs. Anne Butler de Kirkland, Lady of ye towne, the 29 day. B. Thurstan Tildesley de Stanzaker the 22 day. B. Mr. Cuthbert Tyldesley de Stanzaker 13th.